A. Generalized plasticity response to environmental change. The environment is sensed by an organism exhibiting phenotype 1. The genes of this organism respond by a physiological change producing phenotype 2. This response to environmental influences can occur in a single individual or from one generation to the next. B. Schematic representation of the plastic response in Scenedesmus. The environment affects phenotypes 1, 2, and 3 causing the production of the next phenotype in the cycle. Often a mixture of phenotypes would be found in nature for there is genetic variation for plasticity within a single population and because environmental circumstances are not uniform throughout the range of distribution of the population (even within the same locality). Figure 2. Growth responses from 5 clones of Stigeoclonium tenue from the Netherlands to varying concentrations of phosphorus, ammonia, and chloride. Clones 21 and 25 are sympatric as are 29 and 34. Differences in the response of these sympatric clones are taken as evidence for local polymorphism. Differences between allopatric clones reveal the existence of ecotypes as show in growth responses. Graphs have been prepared based on data presented by Francke & ten Cate (1980). Figure 5. 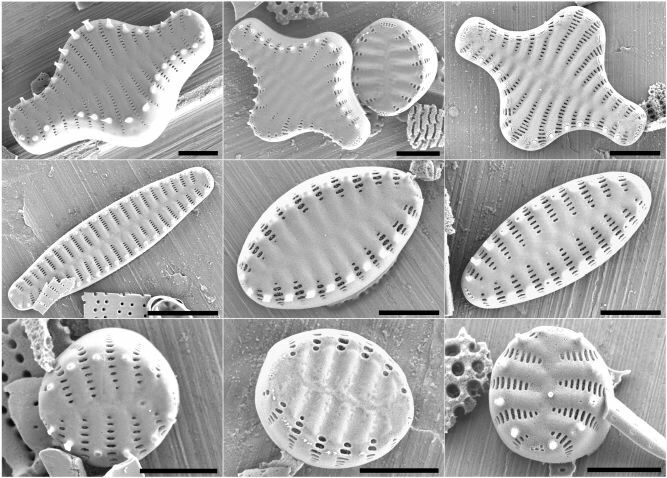 Different morphs of Fragilaria construens from Avery Pond, CT (USA) as shown by SEM. 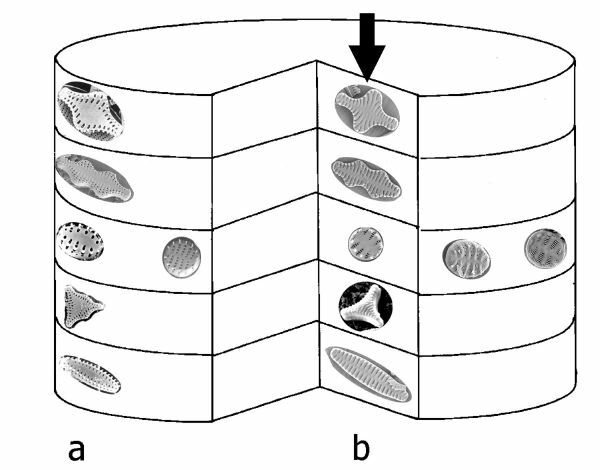 First column: typical morphs of F. contruens, F. construens aff. var. subsalina and F. construens var. venter. Second column: morphs with wider areolae arranged in shortened striae. 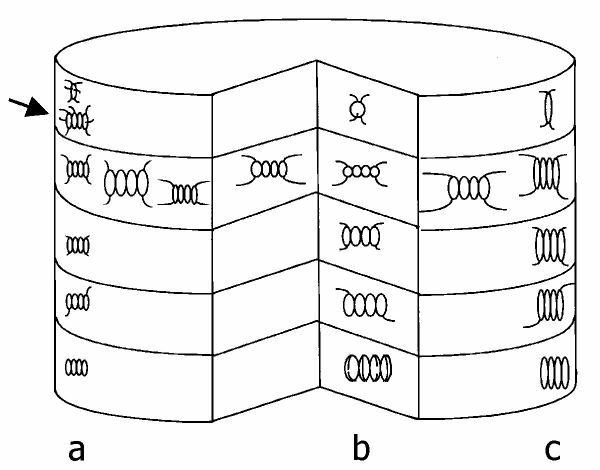 Third column: morphs with wider areolae arranged in longer striae. Scale bars (from top to bottom): first column: 2, 5, and 2 µm; second column: 2, 2, and 2 µm; third column: 2, 2, and 2 µm.